Would you study at any of these? Paranormal experts believe that these are the most haunted schools around the world. Many students will tell you that their schools are populated by demons and monsters, but they’re most likely talking about strict teachers or malicious bullies. However, some schools around the world are actually haunted by ghosts trapped there after their gruesome deaths (as if going to geometry class wasn’t bad enough). Let’s take a look at the creepiest stories from the world’s most haunted schools. College campuses are typically places where students can have a good time in between classes. However, occasionally there are unspeakable tragedies that turn a hall of learning into one of the most haunted schools in the world. At Hollins University in Roanoke, Virginia, the student body has experienced its share of student deaths. Unfortunately, the students at Hollins have reason to believe that two of their departed classmates haven’t actually left the campus. Presser Hall is home to the school’s music department. According to legend, a student there began having an affair with her music teacher. Things went sour, and he murdered her during a lesson. 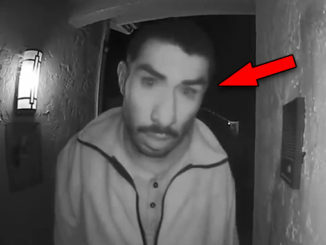 Students say that they can still see her as a dark figure lurking near the building’s windows. Another student died tragically in the Green Drawing Room in the school’s main building. 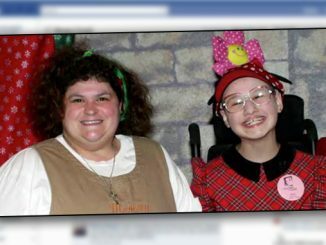 This student shot herself, and current students still occasionally see her in the room. Scotland is a country that is rife with ghost stories accented by the dreary, grey weather the nation is known for. 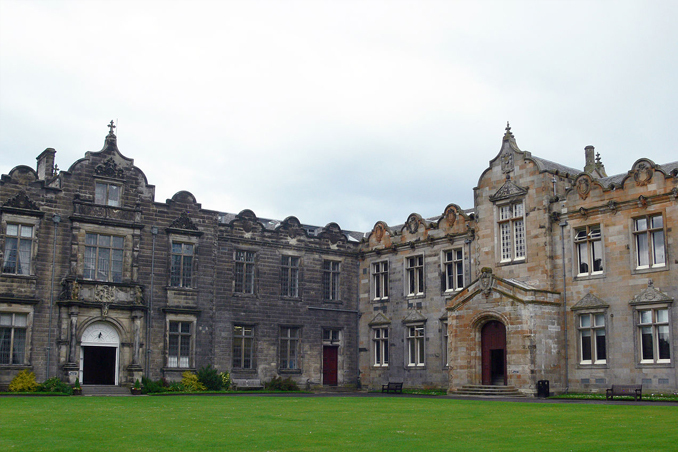 The campus of the University of St. Andrews, with its elaborate Gothic architecture, is the perfect setting for a spooky tale. The school is said to be populated by countless ghostly ladies, spectral monks, and even a ghost ship. Because of the huge number of ghosts haunting the halls, it is known as one of the most haunted locations in all of Scotland. However, St. Andrews’ most famous resident spirit is that of the White Lady. White Ladies are some of the most chilling ghosts in popular lore, and this one is no exception. According to legend, the White Lady of St. Andrews was once a lady in waiting to Mary, Queen of Scots. She was engaged to be wed, but her blissful life was shattered when her betrothed was beheaded. She was so distraught that she died of grief. It’s thought she now haunts an old abbey on the school’s campus, mourning her lost love. At Wells College in Aurora, New York, students are proud of their school’s claim as one of the world’s most haunted schools. The student body went so far as to push to have the college’s ghost stories added to school archives. One of these tales centers around a massive fire that completely destroyed one of the school’s buildings. According to the story, a security guard named Max heroically saved many students from the blaze. Unfortunately, he wasn’t able to save himself. Some students say that when walking down the stairs of the newly rebuilt building, you can sometimes feel Max persistently pushing you towards an exit. The school has another tragedy in its history: a deadly flu outbreak that decimated the student population. The room where the sick were quarantined was marked with a red door to prevent anyone from accidentally wandering in. According to legend, for years after the outbreak ended, any attempt to repaint the door failed, as the bright red paint would always seep through to remind passers-by of the unfortunate victims who died behind the door. 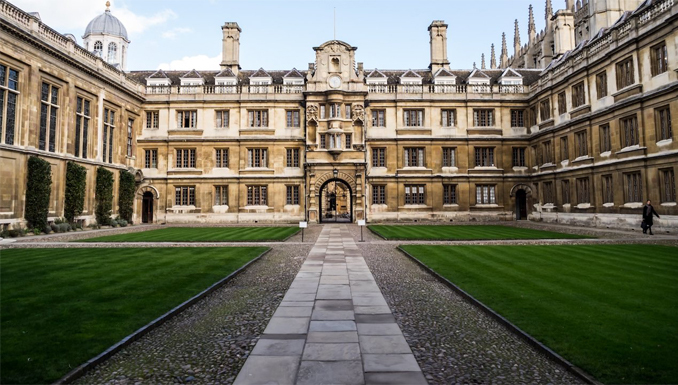 The University of Cambridge was founded in 1209; with such a long history, it’s almost inevitable that it would find itself subject to a haunting or two. The most famous ghost at Cambridge University is that of one of it’s most famous alumni: Oliver Cromwell. A controversial figure, Cromwell was not permitted to rest in peace after his death. His body was dug up and beheaded. His head was placed on a pike at Westminster Abbey, where it remained for 20 years. Perhaps Cromwell’s ghost wanted to return to a happier time, because it is said that he still haunts the campus of his former college. 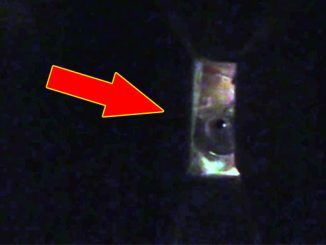 Students at the University of Cambridge claim that you can sometimes see Cromwell’s head floating around campus, perhaps in search of his body. 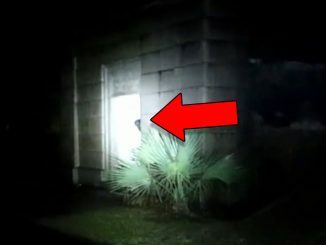 The University of Montevallo in Alabama owes its reputation as one of the world’s most haunted schools to one student: Condie Cunningham. She and several of her friends snuck into the kitchen of the university’s main hall late one night to make some fudge. Although this was a fairly tame defiance of the school’s rules, Condie suffered immensely for her transgression. While she hurriedly attempted to clean up the mess before the group was caught, one of her friends accidentally spilled cleaning liquid into the stove. Condie was burned badly and rushed to the hospital, where she later died. Students roaming the halls of the building late at night reportedly hear Condie screaming and moaning in pain. 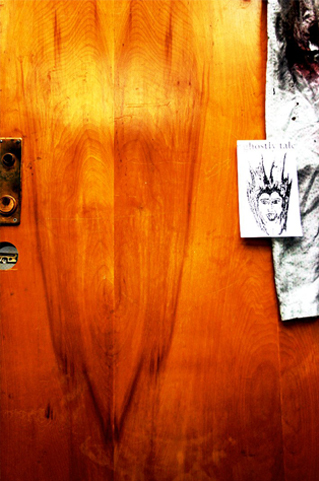 Some students have even seen Condie’s flaming face on the wooden door of her former dormitory room. 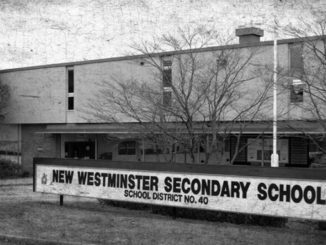 The sight was so common and so horrifying that the school’s administration eventually had the door removed to keep curious students from stopping by to try to see the apparition. 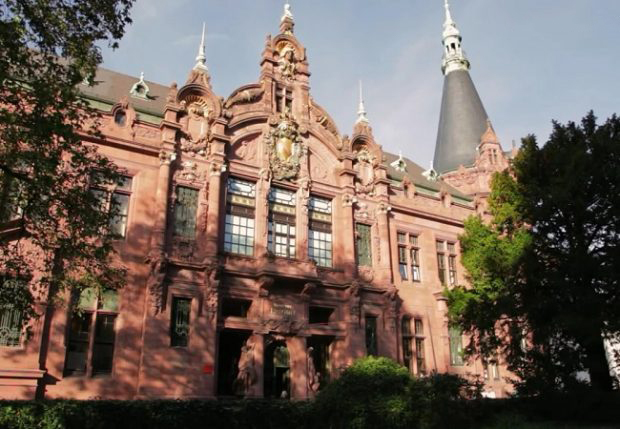 Heidelberg University owes its ghostly fame to the most appalling chapters in Germany’s history: the Holocaust. During the time that the Nazis were in power, the University was the location of several horrifying incidents. First, several of the school’s professors were taken away to concentration camps, never to be seen again. According to some, the professors’ classrooms are often the sites of ghostly occurrences: chalkboards mysteriously erase themselves and are sometimes covered with cryptic messages. The university was also the location of one of the Nazi party’s infamous book burnings. Many claim that you can still smell the burning pages, as if the books themselves are haunting the campus. However, the most chilling aspect of the school’s history centers around its medical clinic. Countless women were brought to the university during the Holocaust to be forcibly sterilized as part of the Nazi eugenics program. Students and professors say that when you are alone in the medical clinic, you can sometimes hear the screams and cries of the women who were victims of these ghastly surgeries. Germany wasn’t the only place hit hard by World War 2. Japan saw its share of death and suffering. 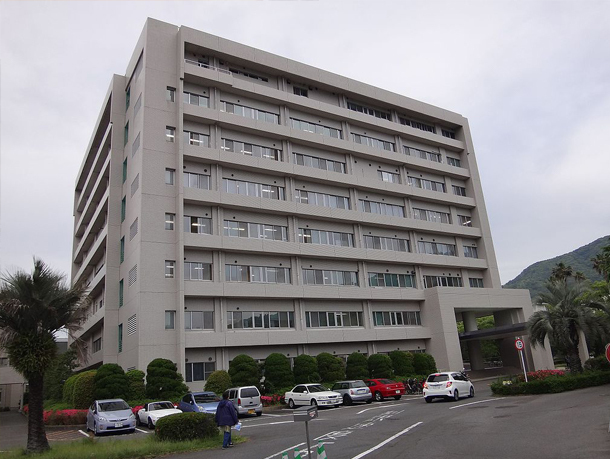 Nagasaki University was extremely close to ground zero of one of the atomic bomb strikes that effectively ended World War 2 in the Pacific arena in 1945. 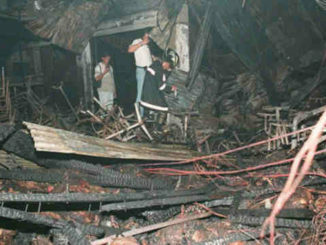 Around 800 students, faculty, and staff were killed, many dying in the university’s medical building. Today, students and staff at the university say that they are haunted by the victims of the bomb. They sometimes see ghostly figures of the dead, but more commonly hear their screams and smell the nauseating odor of their burning flesh. Kenyon College in Gambier, Ohio is one of the oldest private colleges in the United States; therefore, it isn’t surprising that it also has a place among the country’s most haunted schools. 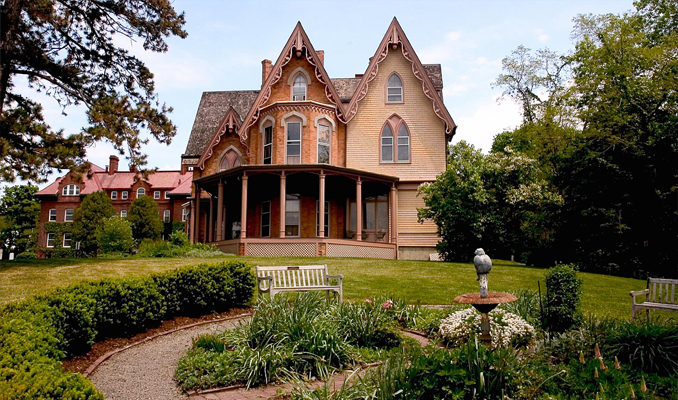 Like many haunted locations, Kenyon’s most famous creepy tale centers around a single location. At Kenyon, it is the south grounds entrance that gives students goosebumps. This particular campus entrance is known as The Gates of Hell. According to legend, the spot becomes cursed every night at midnight as the sound of bells from the nearby Church of the Holy Spirit echo through the air. Anyone who is foolish enough to pass through the south entrance at this time will be damned and immediately sent to hell. 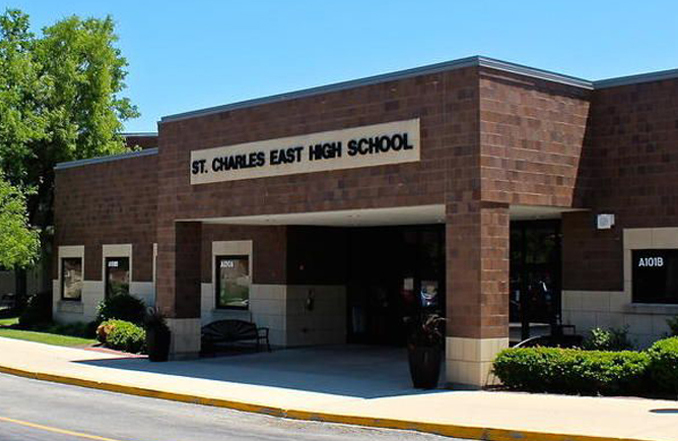 St. Charles East is the only high school unfortunate enough to earn a spot on the list of the world’s most haunted schools. 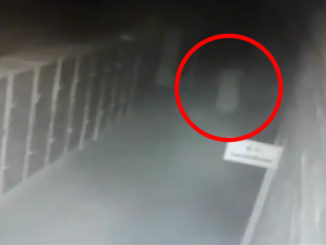 The story behind this school’s resident ghost is the stuff of nightmares. At this quaint school in Illinois, it is said that a freshman girl was practicing her flute in the school’s band room when a crazed janitor entered the room and found her there. 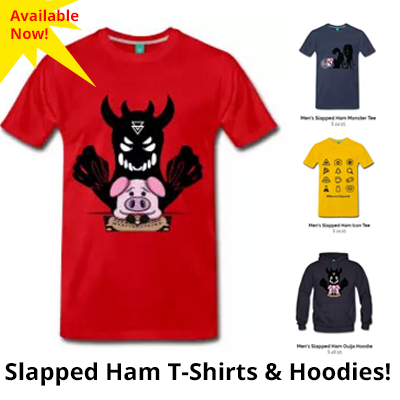 He viciously attacked and murdered the girl. He then hacked apart her body and stashed the pieces in various lockers around the school. 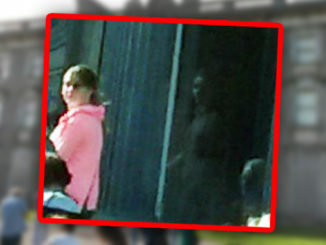 The students at this school are still haunted by the girl’s ghost. Some flute players will find their instruments missing, and many members of the band have heard mysterious flute music when the band room is quiet. Most shockingly, students often open their lockers to find bloody body parts resting among their books, only to have the gruesome images disappear moments later. Gettysburg, Pennsylvania is famous for being the site of one of the world’s most haunted battlefields. 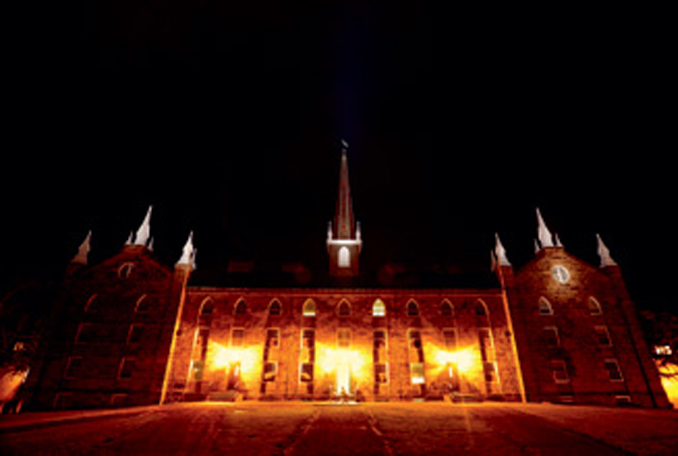 However, it is also home to one of the world’s most haunted schools. 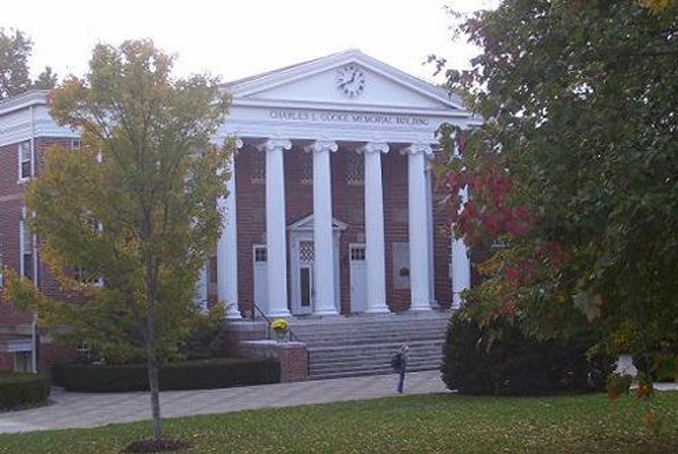 Gettysburg College was already in operation when the epic battle tore through the town. Pennsylvania Hall, one of the school’s largest buildings, was pressed into service as a military hospital as the battle raged nearby. A century later, the building has not forgotten the suffering and death that it witnessed. According to the maintenance staff, on occasion, the building’s elevator will take you all the way to the basement, no matter what button you actually pressed. The doors will open to reveal the chaotic, bloody image of the Civil War hospital. You are forced to watch the suffering patients and bloody doctors, their cries silenced by time, until the doors close again.